I am a big fan of the occasional glass of wine and I find myself wondering about how to reuse wine bottles. I especially love the cobalt blue wine bottles that my favorite Riesling comes in at the grocery store. While recycling the wine bottles is a great idea, finding a new use for it is even better. I started researching how to make a wine bottle lamp and found that it is really quite a simple process! When I first started looking into how to make a wine bottle lamp, I searched on Amazon for supplies. 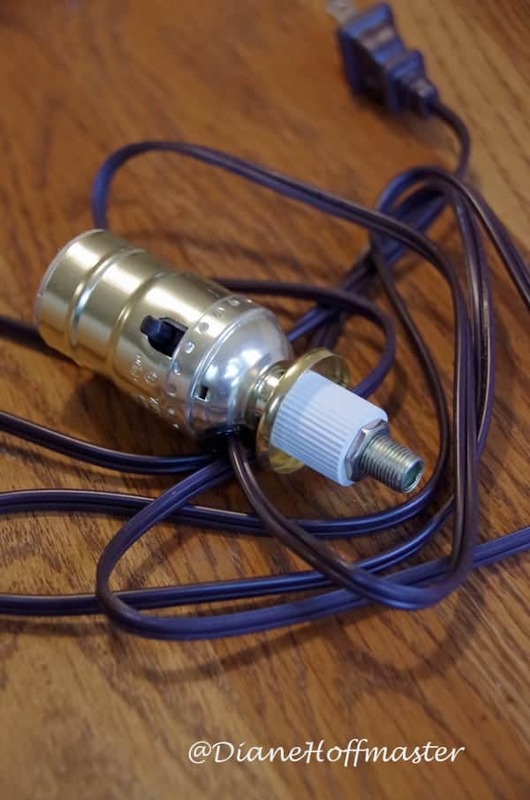 I found an incredibly simple and inexpensive wine bottle lamp kit that makes the entire process take only a few minutes. You can use any type of wine bottle for this project and feel free to get creative with your decorating. I chose to leave mine undecorated because of the beautiful color but feel free to spray paint it, decoupage it, or add a few decorative stencils. Depending on how good an artist you are, this could be a very creative design! The wine bottle kit that I bought from Amazon was incredibly easy to assemble. Basically it was just the cord/adapter piece and a rubber stopper/washer assembly to help it fit snugly in the wine bottle. I have seen some wine bottle kits that require you to actually drill through the wine bottle to assemble it but the one I bought did not require any tools at all. For your lampshade, you can hit goodwill, the department store, or just use something you have lying around the house from an old lamp. Obviously, second hand lamp shades will make your DIY wine bottle lamp incredibly cheap to make! Please make sure that you choose an eco friendly light bulb for your wine bottle lamp. No sense spending time making a low carbon footprint wine bottle lamp and then using a light bulb that will use way more energy than necessary! Because I am a CREE LED bulb ambassador, I chose to use one of the CREE LED bulbs for this home decor project. Their LED bulbs look like traditional incandescent bulbs, not those odd shaped spiral bulbs you often see. 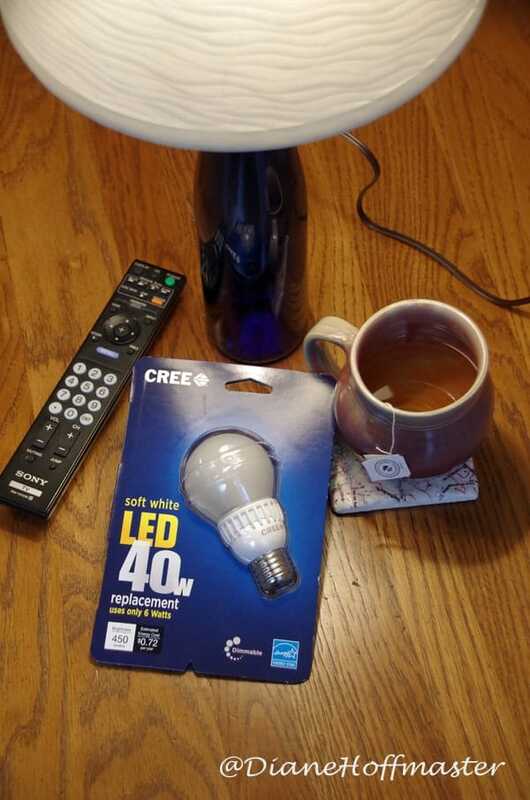 The thing I love about the CREE LED bulbs is that they turn on instantaneously….no waiting for your bulb to brighten when you first flip the switch! Please check out the video above to see how easy it is to make a wine bottle lamp with CREE LED bulbs! 1. Clean wine bottle and remove all stickers and labels. Make sure the wine bottle is completely dry. 3. Decorate your wine bottle to your own personal tastes. 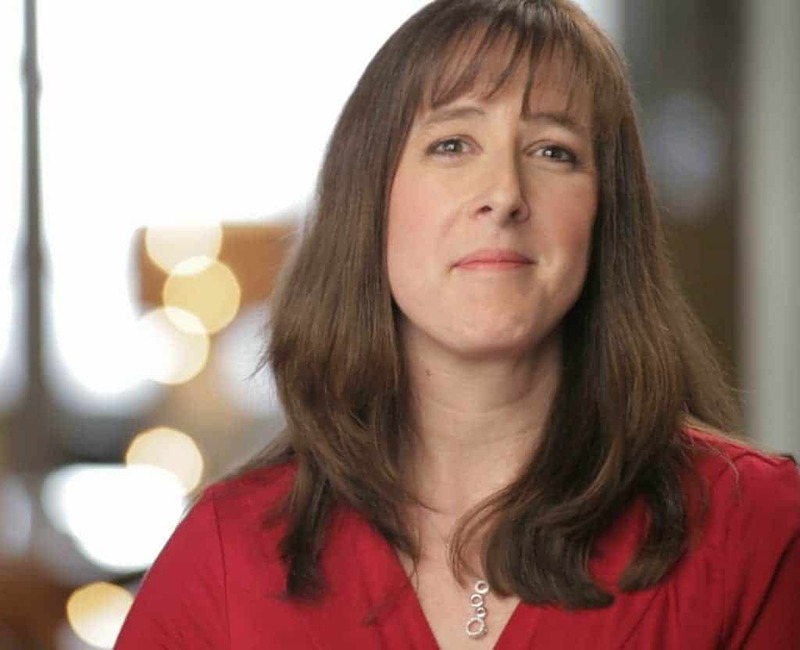 Use paint, washi tape, decoupage or any other art supplies you have lying around. 4. Place the wine bottle lamp kit onto the wine bottle. Place the lamp shade on top of the bottle and screw in the light bulb to hold it in place. 5. Find the perfect location and plug in your wine bottle lamp. Enjoy your beautiful and eco friendly lighting! 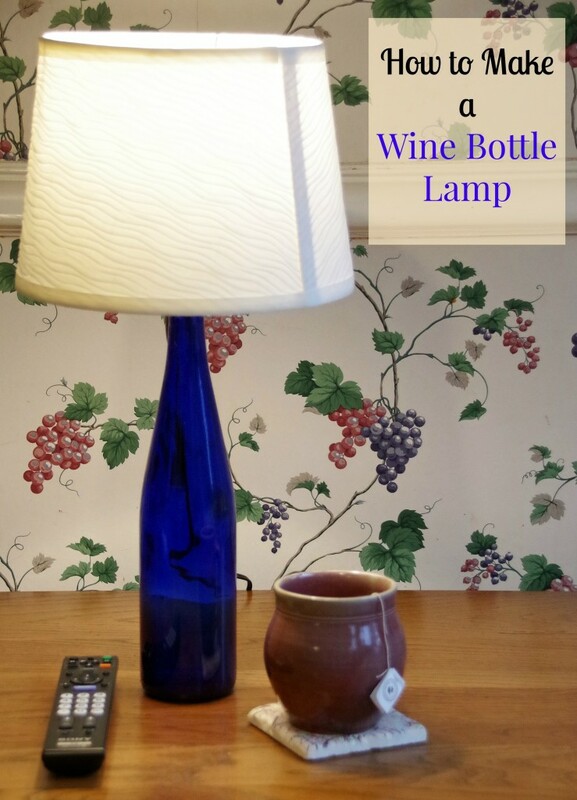 Have you ever made a wine bottle lamp? 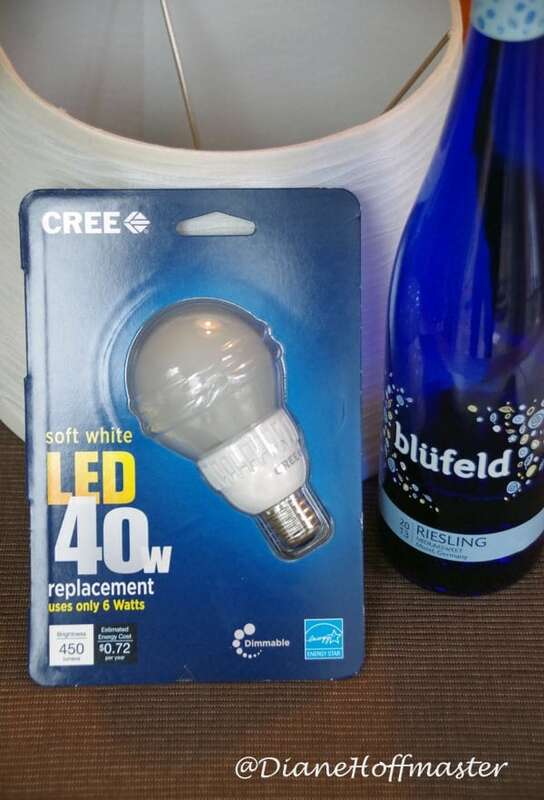 This post about how to make a wine bottle lamp has been sponsored by CREE LED bulbs and contains affiliate links. All opinions are my own. never tried, but seems easy enough! would love to try this one day.